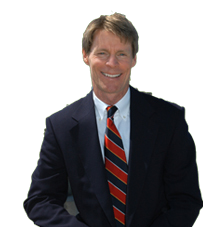 I began my real estate career serving the needs of your friends and neighbors in Huntington Beach and the surrounding communities in 1986 after being licensed as a real estate broker by the State of California. As I walk the streets of Downtown I recall fond memories of friends and families that have lived and raised their children in these homes. I remember Mrs. Lancaster whom I spoke to for years and the kindness she showed me when she named me in her will as the person to represent her estate in selling her home. And, Mr. Hibner who for years had been uncertain about whether to divide his lot and build a new home for himself. I helped Mr. Hibner select a builder and fulfill his dream. Later, when he retired, I found the Kirby’s to purchase Mr. Hibner’s home. When the Kirby’s became sellers due to job relocation they chose me as their broker and I sold their home for them. That is the way my real estate career has been. I have been fortunate to have many clients return to me for all their real estate needs and refer to me their friends and family. I am a native of California and grew up in Huntington Beach attending Huntington Beach High School. During and after graduating from high school and while in college I worked for the city on the beach maintenance crew, and was employed as a substitute school teacher. I graduated and received a Masters degree from California State University, Fullerton. I got my first sales experience as a representative for a book publishing company while a law student at Western State University College of Law. After graduating from law school I joined an investment banking firm in Newport Beach as a personal financial planner. I began my real estate career serving the needs of your friends and neighbors in Huntington Beach and the surrounding communities in 1986 after being licensed as a real estate broker by the State of California. At last confirmed count I have personally represented homeowners in Huntington Beach and surrounding areas in well over $109,750,000.00 in sales. However, recent experience in the current market is critical. Knowing the local market is crucial when it comes to pricing and valuations; knowing what to avoid and look for in buyers, lenders and offers can save a lot of headaches down the road for my clients. I am a firm believer in career related ongoing education. To better serve the homeowners of Huntington Beach I recently completed special training and became a member of the Institute for Luxury Home Marketing. I am presently developing and designing online strategies to obtain international buyers for luxury homes in Huntington Beach. I would be happy to demonstrate these strategies when we have an opportunity to meet. Thank you very much for having taken the time to read my introduction. P.S. Feel free to tap into my many years of valuable experience and education with a free no cost no obligation home evaluation were we will discuss your time frame and the target buyer market for the sale of your home. My comprehensive marketing plan for your home includes; syndicating your home and featuring it on hundreds of websites, virtual tours, digital flyers, MLS, signs, broker’s caravan, Google pay per click, talking house radio broadcast and marketing to my personal database of buyers. I maximize the use of technology to leverage my ability to market And sell your home. To list your home with Michael Call now click HERE.